Daily Record had earlier reported that Celtic scouts were present to watch the Champions League tie between Napoli and Red Star Belgrade which ended in a 0-0 stalemate. It was believed that the Hoops scouts were more interested in watching talents from the Serbian club as they are more likely to be in Celtic’s price range as opposed to a club like Napoli whose players’ price would be well out of bounds for the Glaswegian outfit. It is not yet clear who the Celtic scouts were keeping track of, but we believe it could be Reds Star centre back Srdjan Babic. The Hoops could go for a centre-back in January as Dedryck Boyata’s future is uncertain and he is not likely to be a Celtic player next year (speculation on our side but don’t think anyone would dispute that Boyata is gone sooner rather than later). The only thing which remains to be seen now is that when would it happen next year? We believe, if Boyata is not willing to sign a new contract, then Rodgers should try to offload him in January. That way, the blow of losing him would be softened by some millions they would make from selling him. If they decide to keep hold of him, then they run the risk of losing the centre-back for free in the summer as he is in the last year of his contract. Therefore 22-year-old Srdjan Babic could be the man the Hoops might be interested in the short term. The defender didn’t play in the encounter against Napoli as he was an unused substitute but the 6ft5inch defender has everything in his repertoire to be a success at Park Head. The Serbian club signed the defender from La Liga outfit Real Sociedad where he had spent two years. He never made it to their senior team but was part of their reserves squad, and playing in Spain helped him as the defender was able to improve on the technical front. Babic has represented Serbia at various youth levels and is seen as a top talent in his native land. The 22-year-old has played nine games this season in all competitions and has also found the net twice in the league. The Serbian uses his height to good effect while attacking set pieces. 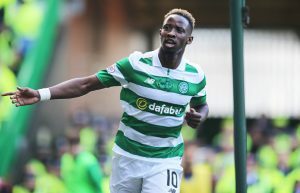 Rodgers cannot let another Dembele kind of saga to play out in the winter, and it would be right on his part to get the situation sorted as early as possible. If the Belgian defender is to be sold, then he should be sold early on as that would give the club enough time to look for a replacement. Babic might need some time to get used to the dynamics of the Scottish football, but he can be a success and would be a perfect long-term fit at Celtic Park. Did Gerrard Slyly Indicate That This Youngster Doesn’t Has A Future At Rangers? Celtic, Their Transfer Dilemma And What Rodgers Need To Do To Keep Their Dominance Intact! 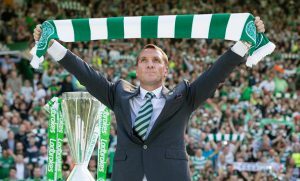 Predicted 4-2-3-1 Celtic Line-Up Vs Motherwell: Can Rodgers’ Side Continue Their March?